INDIA. Mumbai. 2006. 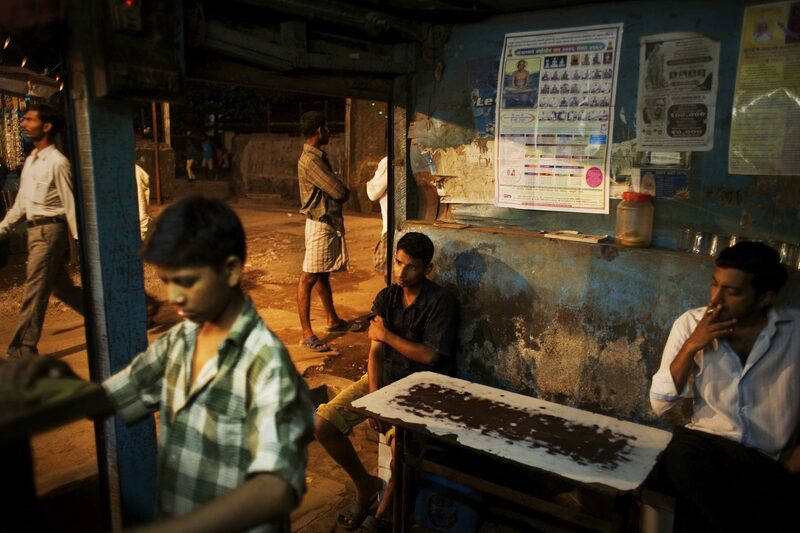 People passing the evening in a teashop in Dharavi.